When we think of letter boards, images of fast food signs, churches, schools, or old movie theaters probably enter most people's minds. But lately, they have become a craze in home decor, and it is a fun trend that you can use for just about everything. From grocery lists to witty quotes to save the dates to baby announcements, you can use letter boards as a fun decorating item in your home or even as a photo accessory --- and you can customize them without any artistic ability. The simplicity of letter boards, along with their vintage design, make them a fun addition to your home, and there are plenty of ideas out there to give you inspiration. Letter boards are great for parties because you can use them to decorate a table, as a sign of appreciation for your guests when they arrive, or as signage for the party's food and drink menu. 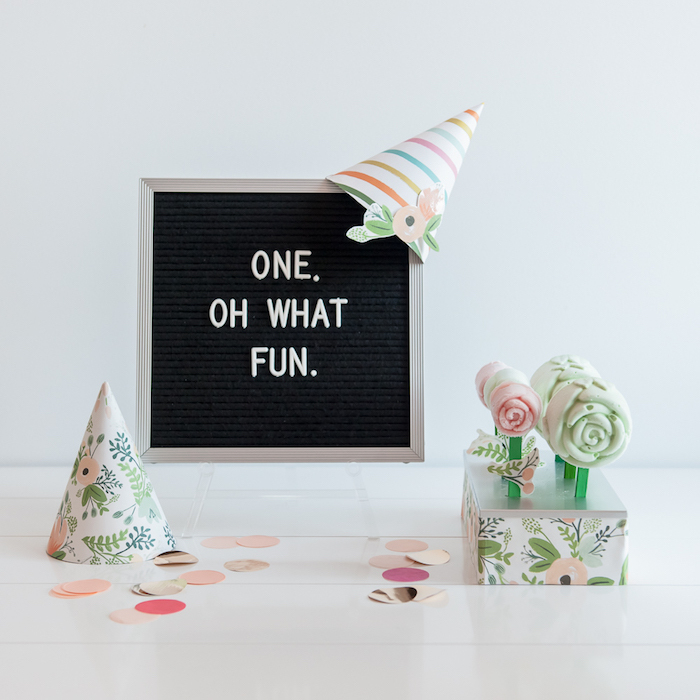 Whether it's for a birthday, anniversary, or wedding, letter boards can be a fun addition to your celebration. Plus, if you use it to decorate your wedding reception, it's a great keepsake you can use to decorate your home after your big day. Another fun idea for a letter board is to let everyone in your family know what will be for dinner that night or for the week. It can also help as a reminder for your grocery list, and it simply looks awesome in a kitchen. The Kitchn recommends Letterfolk boards because they are budget-friendly and come in two different sizes. Each board also comes with a set of 290 three-quarter inch white letters and numbers, but you can add extra sets and sizes when you order. Letter boards make it easier than ever to share the progression of your pregnancy with friends and family on social media. You can give simple updates about how far along you are while holding your bump, or you can get really creative and share your experiences during each trimester. However you decide to use it, a letter board can be a fun addition to all of your baby bump pics and a neat way to mark your baby's progress. If you need a little motivation first thing in the morning, or you want to inspire others in your household, you can use a letter board to share inspiring quotes so you can get you and your family's day started the right way. There are endless quotes to choose from, and that allows you to be inspiring or you can try to get some laughs. Just like documenting your pregnancy journey, you can also use a letter board when your baby arrives to help mark their milestones. Trying to create the perfect photo with a baby is a challenge, and taking them to a photo studio can be a nightmare. If you use the letter board method, you can take the pics at home after they have eaten and around a naptime, that way they aren't fussy. You can also lay them on their favorite blanket and with their favorite toys, and use the letter board to mark the milestone. Plus, you can write whatever you want, and personalize the pic for you and your family. If you are having a baby, it's starting to look like a letter board is a must-have. Before you start your pregnancy journey and document your baby's growth, first you have to let everyone know that you are expecting. Using a letter board allows you to personalize the announcement in a way that truly represents you and your partner. If you want to decorate with your favorite quote or funny saying, you can use a letter board to hang on your wall or place on an easel for your countertop or shelf. You can change the quote as often as you want, plus the black and white style fits with any decor. A letter board can also be a fun addition to your holiday decor, and you can use them for every season and holiday. Since colors aren't an issue, you can use the letter board in the middle of your red, green, and gold at Christmastime, or in the middle of red, white, and blue during the 4th of July. If you can't get those lyrics out of your head, or you like to have full conversations in movie quotes, then use a letter board to decorate with your favorites. Since song lyrics can set a mood and movie quotes can convey the exact emotion you are feeling, using a letter board to share your favorites with your friends and family can be a fun decorating addition to go with those movie and concert posters on your wall. People share just about everything on social media, so why not make a few of your posts a little more creative by using a letter board? You can share parenting wisdom, diet tips or challenges, or just your general life struggle. But no matter what you want to share with your followers, putting your ideas on a letter board can make your post stand out on your friends' Instagram and Facebook feeds. With all of the potential uses for a letter board, it is pretty difficult not to jump on the bandwagon. You can purchase them everywhere from Walmart to Amazon, just remember to also pick up a bead organizer, so you easily store your letters and avoid having to hunt through them every time you want to update this fun, vintage piece of art.